Following Cisco’s Marketing Velocity in Barcelona, Michelle Chiantera, the company’s vice president, global partner marketing, wrote that one of the key-takeaways from the event was this: It’s not digital marketing, it’s marketing in a digital world. The new normal, she wrote, is that everyone is a marketer. All roles and functions represent a company’s brand. And in the digital era, evolution is constant, which means organizations must continue to deliver a positive experience. And everyone plays a role. Earlier this summer, Chiantera shared with CMR more about the way companies and their partners need to evolve to succeed in the digital world. Michelle Chiantera – The context behind that is with Cisco’s shift from hardware to software — with technology being consumed in multiple ways — marketing plays a massive role in helping our partners be successful in the digital era. The one thing that I talked quite a bit about at Marketing Velocity that really drives this point home is, with digital, it’s no longer just a marketer’s job to do the marketing. You think about how it works today – an engineer could write a blog and put it out into the digital world for all to read. In a software environment, the billing department is actually a reflection of how they are stewards of their brand. When a customer tries to engage a partner or a manufacturer via click to chat, they’re not thinking, “Oh, there’s a marketer at the end of that.” They just expect it to be a really positive experience. Everybody in this day and age is truly a marketer, and what we’re really encouraging our partners to think is that this is not just an operational decision. It’s a strategic decision because of everything digital. CMR – How do you think that partners, especially Cisco’s partners, are adjusting to that new paradigm? 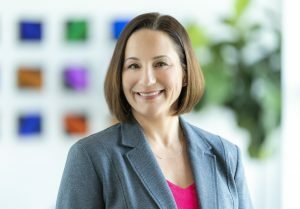 Michelle Chiantera – The thing that we have learned since I’ve been in the channel — I’ve been at Cisco for almost 18 years, and I’ve been in the channel for probably 14 or 15 of them — is that our partners are at various stages in their marketing journey and one is not better than the other. Some are very traditional and high touch. They have a small number of accounts, so events and telemarketing work for them. Others have hundreds of thousands of accounts. They transact via commerce platforms, and digital is just their nature. What we’re trying to do from a Cisco perspective is really use data to understand where our partners are on their digital journey, so when we do deliver our marketing services, we’re meeting them on their journey. This is an internal shift for us because we know that just like a marketer thinks about a customer, partners have different ‘care-abouts’ based on the different levels and the different personas. So we’re really trying to take a digital approach. 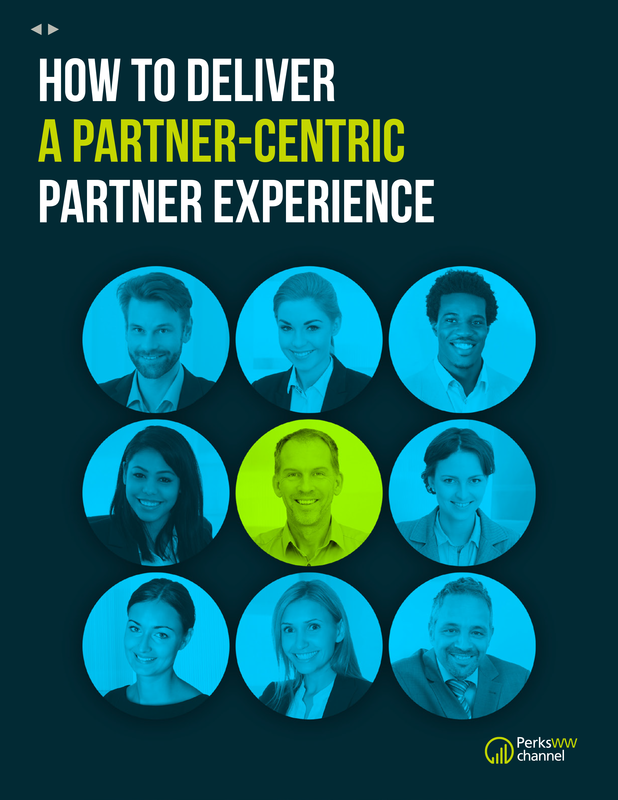 CMR – Has that changed the way you are engaging partners? Michelle Chiantera – When we think about the ways that we’re engaging partners, we really look at it through three lenses. The first lens is how we connect to partners. 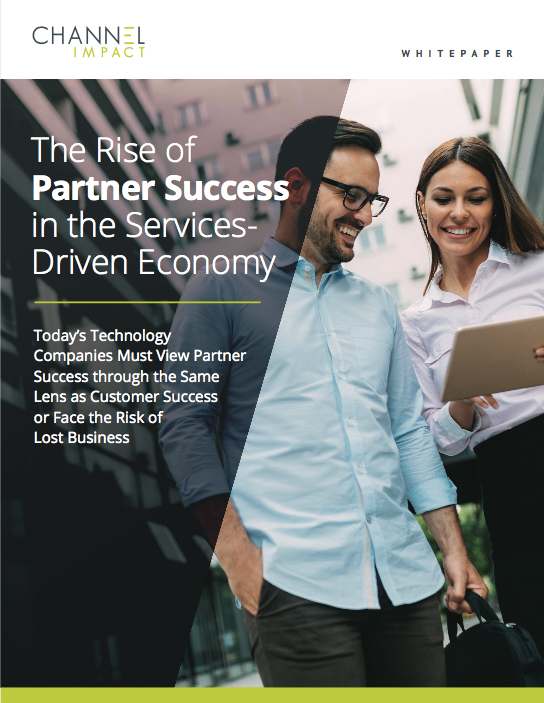 With technology models shifting as customers demand solutions with the application being the decision point — not necessarily making decisions about what makes that application come to life — we’ve really got to capitalize on our broader partner ecosystem. For example, how we connect resellers or technology partners to reflect a broader solution that drives the business outcome. So, we do this partner-to-partner marketing effort. The second lens we look through is how we educate our partners, and this is where we’ll do just a little bit of a deep dive in Marketing Velocity. 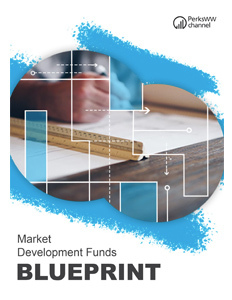 This program — this portfolio, I should call it — is intended to offer our partners multiple ways to engage based on where they are on their marketing journey. If they don’t have a marketing person but they’ve got somebody dabbling in marketing 25% of the time, as an example, we can provide them education so that the marketing person becomes more sophisticated, so that marketing person is executing things that have a higher ROI. On the other side of the spectrum, you might have an incredibly sophisticated partner that has made massive investments in their marketing practice, and maybe they just want to engage and do a deep dive on what Cisco is investing in from a digital point of view. The education is really ranging based on the partner’s particular marketing practice, and then it’s all about activating them. Finally, we want to make sure we’re delivering amazing content, proven programs through our Partner Marketing Central platform. When they’re engaging with us digitally, they have at their fingertips everything they need to activate their marketing. Again, wherever they are in their journey, if they are a partner that has a major brand in the market, they might just want some of the messaging blocks on our latest collaboration launch. If they’re that partner that has a marketing person doing 25% of the time, they might need help with the actual execution to create some social content that they can put on their website. Whatever it is, we want to meet them where they want to be. CMR – Can we talk a bit about the Marketing Velocity program? Michelle Chiantera – Marketing Velocity is definitely our platform for helping our partners to advance their marketing skills. At the end of the day, if we do better marketing, we’re going to drive better demand, and we’re going to accelerate sales. This is truly strategic to evolving our partners and helping them to achieve their growth goals. Marketing Velocity turned 11 years old this year, and it’s actually been a variety of offerings. We’ve got education that you can do online. We have e-learning that they can access. They can come to live events, whether it was the live event that we had in Barcelona or in region. They do smaller scale events. Then, we’ve got the Marketing Velocity Hub which allows us to curate content to have our partners access real-time based on the latest and greatest marketing trends. The intent is to use it for educational purposes, but it also helps them have conversation within their businesses to influence the business owner, whoever is learning the marketing aspect of the business, to make investments in these more modern ways of marketing. We have been incredibly successful, recognized as definitely a leader in these efforts. But we knew that we needed to make some decisions on how we scale this and how we take what we teach our partners. CMR – Does this bring us back to your comment about marketing in a digital world? When we do see our partners invest in both Marketing Velocity and Partner Marketing Central, we are absolutely seeing them increase the marketing source bookings that they create by 25%. So it goes back to this very simple analogy. If they’re educating themselves in the latest and greatest trends and building a modern practice while executing in a way that makes most sense for their marketing practice, they’re going to drive better demand which will, in turn, help them grow their business.